Dr. Todd Stinson is a Burke, VA sports chiropractor who serves Burke, Springfield, Fairfax, Clifton and the surrounding communities in Virginia. He lives with his family in Manassas, VA and is actively involved in the local community. Dr. Stinson is a 1995 graduate of Palmer College of Chiropractic in Davenport, Iowa. Originally from Illinois, Dr. Stinson has been practicing at Rolling Valley Chiropractic Centre since 1996. 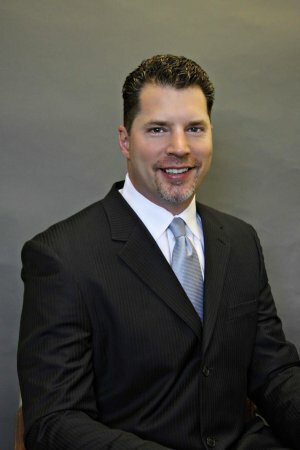 Dr. Stinson played collegiate basketball and has a special interest in sports injury, including adolescent sports injury care, as well as "computer posture" rehab and expectant mother spinal care. Dr. Stinson takes a "whole person" approach in chiropractic care, which means looking for the underlying causes of dysfunction, discomfort, and pain, as opposed to just treating the symptoms. Many seemingly unrelated symptoms often arise from imbalances in the spinal column, and Dr. Stinson will be able to determine the root of the pain and create a personalized rehabilitation and wellness plan to suit each patient's individual needs. Under the supervision and care of Dr. Stinson, patients report higher functioning in all areas of their lives. Dr. Stinson's additional professional education coursework includes spinal trauma, whiplash and ProSport Chiropractic post graduate education. If you have any questions about Dr. Stinson, or would like to learn more about chiropractic care at Rolling Valley Chiropractic Centre, please call us at 703-455-7707 today!